SSC MTS 2019 (Multi Tasking Staff) to recruit the staffs for a General Central Service Group C Non-Gazetted, Non-Ministerial post in the Central Government Ministries / Departments / Offices, in different States / Union Territories. SSC MTS Online Application 2019 begins from Last week of December 2018. The candidates qualifying the online exam will have to appear in the SSC MTS 2019 Descriptive type qualifying exam for testing basic language skills. Staff Selection Commission (SSC) was established in 1975 under the Government of India for the recruitment of the candidates for the various posts in the Ministries, Departments and Organisations of Government of India and in Sub-ordinate Offices. In this article we are providing all information about SSC MTS Exam 2019 – Dates, Eligibility Criteria, Online Application Form, Exam Pattern & Syllabus, Admit Card, Answer Key and Result. An applicant should have passed Matriculation Examination or any equivalent examination from a recognized Board. Age Limit: An applicant’s age should be between 18-25 years. The SSC MTS Application Form 2019 will be available in the online mode only on the website ssc.nic.in. The tentative date of release of the SSC MTS 2019 Application Form is to be announced soon. The candidates desiring to fill the SSC MTS Application Form 2019 are advised to regularly check the website of SSC for the updates on the SSC MTS (Multi Tasking Staff). The candidates should read the given instruction very carefully so that their SSC MTS 2019 Application Form will not be rejected. The applicants have to visit the website of SSC ssc.nic.in to fill the SSC MTS Application Form. If Registration is not done earlier then an applicant should register himself/herself by filling the basic information. After the submission, the applicant will get a window to make any changes in the registration. Once the registration part is completed, the applicant will receive a Registration Id and Password. The Registration Id and Password will be used for further communications. After that, the applicant will have to fill the SSC MTS Application Form. The Application Form filling requires SSC MTS Application Fee Payment, Photo & Signature Upload. The applicant’s photo should be in JPEG/JPG format, the file size should be more than 30 KB but less than 50 KB with 100×120 resolution. The applicant’s signature should be in JPEG/JPG format, the file size should be more than 1 KB but less than 12 KB with 140×60 resolution. The SSC MTS 2019 Application Fee will be Rs. 100/- and the payment can be made by using Debit Card/Credit Card/Net Banking. The SSC MTS(Multi Tasking Staff) Application Fee can also be paid in offline mode through SBI Challan. The SSC MTS 2019 Application Fee once paid will not be refunded under any circumstances. The SSC MTS 2019 Admit Card will be available in the online mode on the SSC website and will be shared on the registered email id of the applicants. The SSC MTS Admit Card will be issued to only those candidates who will successfully submit their Application Form. The date to release the SSC MTS 2019 Admit Card is not announced by the Commission till now. The Admit Card will bear the information filled at the time of SSC MTS(Multi Tasking Staff) 2019 Application Form filling. Enter the Applicant Name/Applicant Father’s Name/Date of Birth and the given code. 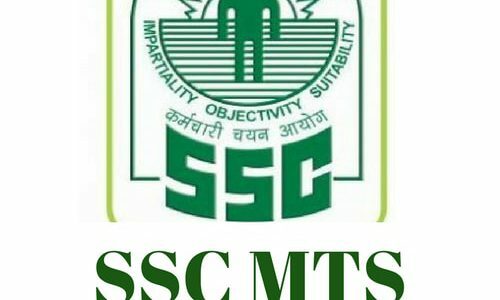 The SSC MTS 2019 Admit Card will appear on the screen in PDF format. Verify the details given on the SSC MTS Admit Card. Take the printout of SSC MTS Admit Card and preserve it for the further use. The SSC MTS Admit Card 2019 will not be sent by post to any candidate. If any candidate will unable to download the SSC MTS Admit Card 2019 then he/she must contact the concerned Regional/ Sub-Regional Office(s) of the commission with details such as registration ID, proof of fee payment, the copy of online application form. Photo & Signature of the Applicant. Date and Venue for the entrance exam. Other instructions which are to follow at the time of the examination. The SSC MTS Admit Card 2019 is an important document to appear in the SSC MTS 2019 examination. The applicants must carry their SSC MTS 2019 Admit Card at the examination venue. The applicants have to present Admit Card on the demand of the invigilator at the examination venue. If any candidates fail to bring his/her SSC MTS Admit Card then he/she will not be allowed to appear in the SSC MTS 2019 examination. The SSC MTS 2019 Admit Card is a non-transferable document. The candidates should not make any changes in the entries of the Admit Card. The SSC MTS 2019 Examination will have 2 Papers. The SSC MTS (Multi Tasking Staff) Paper 1 will be of Objective Type and the SSC MTS Paper 2 will be of Descriptive Type. The SSC MTS 2019 Paper 1 will contain only Multiple Choice Questions. The questions in SSC MTS 2019 Paper 1 will be in English & Hindi. There will be negative marking of 0.25 for each wrong answer. The SSC MTS 2019 Paper 2 will be of qualifying nature and the candidates have to write Short Essay/Letter in English or in any language included in the 8th schedule of the Constitution. General Intelligence: It would include questions of non-verbal type. The test will include questions on similarities and differences, space visualization, problem-solving, analysis, judgment, decision making, visual memory, discriminating observation, relationship concepts, figure classification, arithmetical number series, non-verbal series etc. The test will also include questions designed to test the candidate’s abilities to deal with abstract ideas and symbols and their relationship, arithmetical computation and other analytical functions. English Language: Candidates’ understanding of the Basics of English Language, its vocabulary, grammar, sentence structure, synonyms, antonyms and its correct usage, etc. his/her writing ability would be tested. General Awareness: Questions will be designed to test the ability of the candidate’s general awareness of the environment around him and its application to society. Questions will also be designed to test knowledge of current events and of such matters of everyday observation and experience in their scientific aspects as may be expected of an educated person. The test will also include questions relating to India and its neighboring countries especially pertaining to Sports, History, Culture, Geography, Economic scene, General Polity including Indian Constitution, and Scientific Research etc. These questions will be such that they do not require a special study of any discipline. Paper 2: The Paper will be set in English and Hindi and to the extent possible in other languages mentioned in the 8th Schedule of the Constitution to test basic language skills commensurate with the educational qualification prescribed for the post. Candidates will be required to write one short essay/letter in English or any language included in the 8th schedule of the Constitution. The SSC MTS 2019 Answer Key will be released after the few days of the SSC MTS 2019 examination. The SSC MTS Answer Key 2019 will be published on the SSC website. With the help of Answer Key, an applicant will be able to know the number of the correct responses made by him/her in the SSC MTS examination. The SSC MTS (Multi Tasking Staff) Answer Key will also give an idea of whether an applicant will qualify the SSC MTS 2019 exam or not. The SSC MTS 2019 Result will be announced by the commission after the commencement of the SSC MTS 2019 examination. The SSC MTS 2019 Result will be published on the zonal websites of the SSC in the online mode. The candidates have to enter the details such as Application Number, Registration Number, Date of Birth etc. to access their SSC MTS 2019 Result. The SSC MTS 2019 Result will contain the marks and the rank secured by the candidate in SSC MTS 2019 Paper 1. The candidate qualifies SSC MTS 2019 Paper 1 will only be eligible for appearing in the SSC MTS (Multi Tasking Staff) 2019 Paper 2.